The grand triclinium and surrounding rooms date from the middle of the first century AD. The triclinium is richly decorated in the fourth style with large mythological scenes framed in blue on a yellow and red ground above a lower red and black decorative frieze. The central panel (seen in this photo) on the rear wall features Ariadne abandoned by Theseus on the island of Naxos. 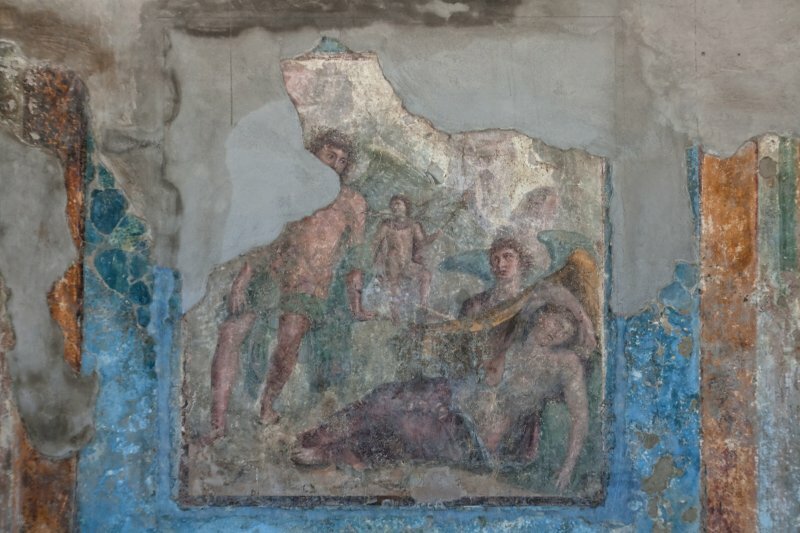 In the same room are also the frescoes of Lycurgus and Ambrosia on the east wall, and Hippolytus and Phaedra on the west.